After spending around 3 weeks lazing around beaches and trying to dodge the endless rain in the south of Thailand we took a quick two hour flight right to the north of Thailand to an awesome city called Chiang Mai. 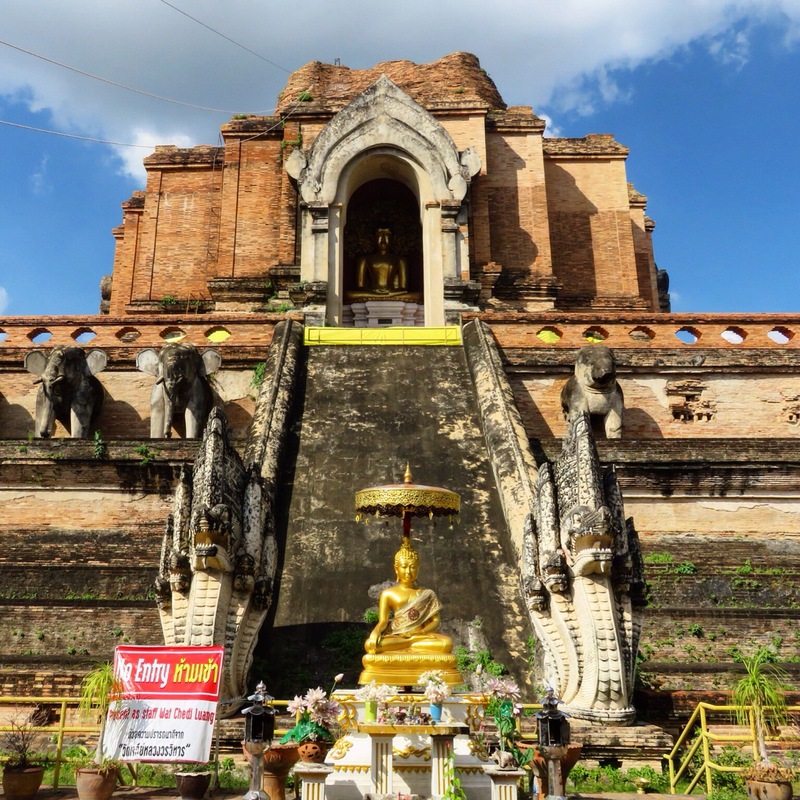 I didn’t know too much about Chiang Mai except for two things- it was full of elephant sanctuaries and temples. It sure didn’t disappoint with those two things! 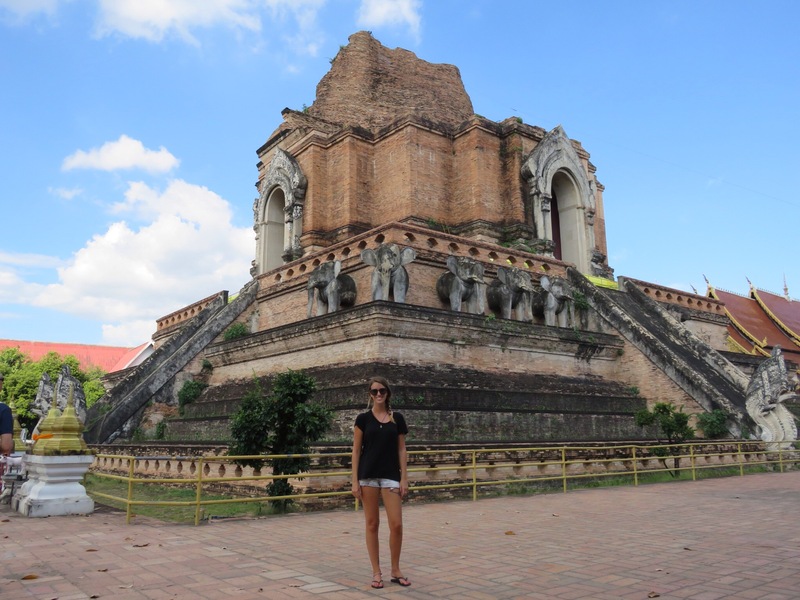 Although I loved the south of Thailand, Chiang Mai just felt so much more authentic to me. There were less tourists, less westernised buildings and restaurants, prices were lower and there were less people trying to sell you things on every corner. It was charming, cultural and peaceful. I fell in love instantly. We arrived late afternoon and after settling into our hotel we went for a walk around the streets. We stayed in the ‘old town’ which is full of old buildings, markets, quaint streets, temples and is surrounded by a moat. There were stunning Buddhist temples on every corner it seemed. 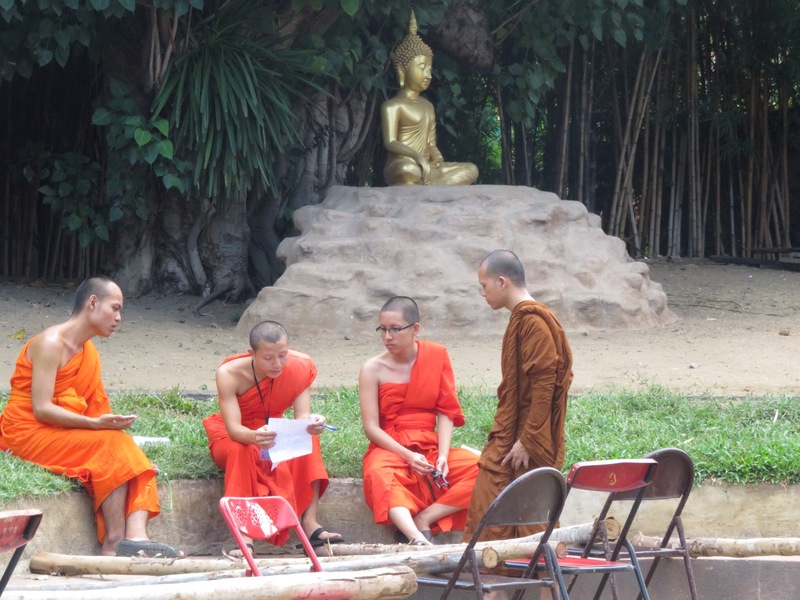 It was also really cool to see the monks just going about their day, meditating, praying and chatting to each other. That night we went out for a delicious meal. The food is a little different in the north of Thailand and we were eager to try a dish called Khao Soi which is also nicknamed “Chiang mai” noodles. It was a delicious yellow, mildly spiced soup with egg noodles and crispy noodles on top. The next day was a very exciting one. 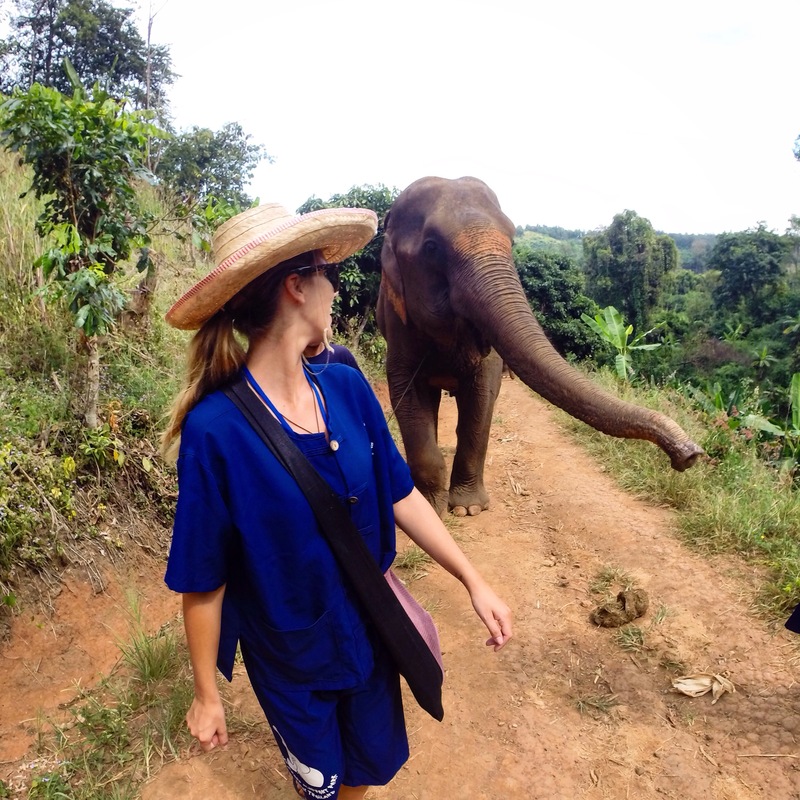 We spent the day with 5 beautiful elephants at Baan Chang Elephant park. It was a dream come true! You can read all about my experience here. That night we went to the food markets by the South gate and I had a delicious veggie stir fry and fruit smoothie for $3 AUD. The food is so cheap and there are plenty of stalls to choose from. 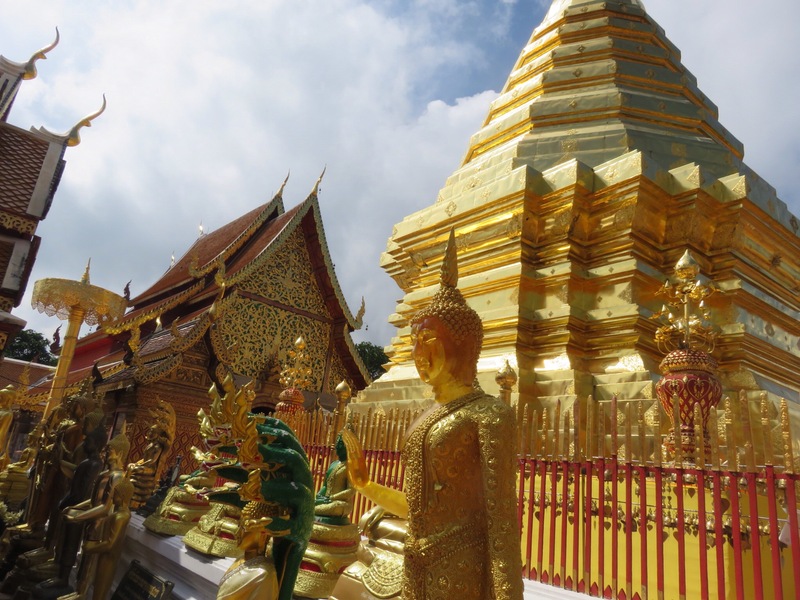 On our third day we hired a scooter and rode an hour up a mountain to a huge temple called Wat Phra Doi Suthep. The ride up was simply stunning and an adventure within itself. 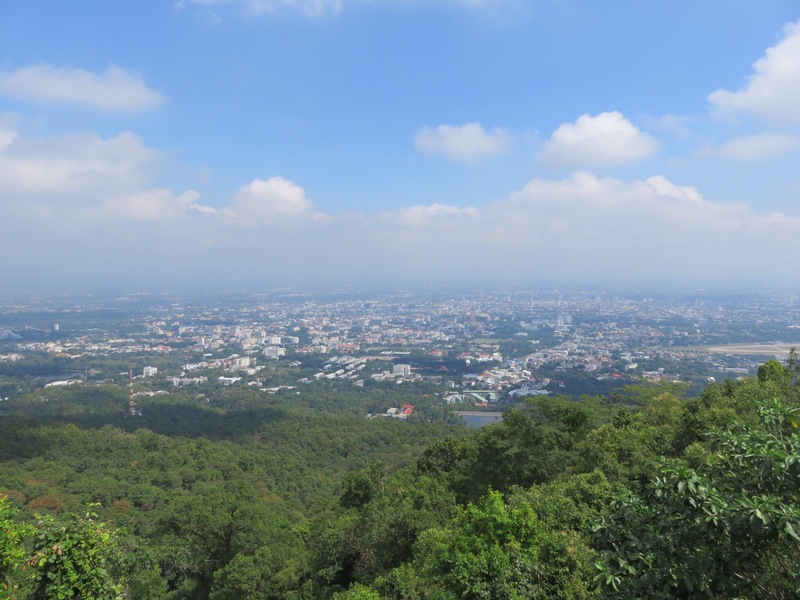 The views of the city were beautiful, I had no idea Chiang Mai was so big. The air got noticeably cleaner and cooler as we wound our way up the mountain, it was a nice break from the hot weather down below. Once we reached the car park we had to climb around 300 stairs to get to the top to see the temple. It was worth every step. This was by far one of the most beautiful temples I have ever seen. It was huge and SO gold. So gold and bright that it made you want to squint your eyes and stare in wonder at the same time. After a good amount of time exploring and taking it all in we climbed down the stairs and sampled various snacks from the markets down below. 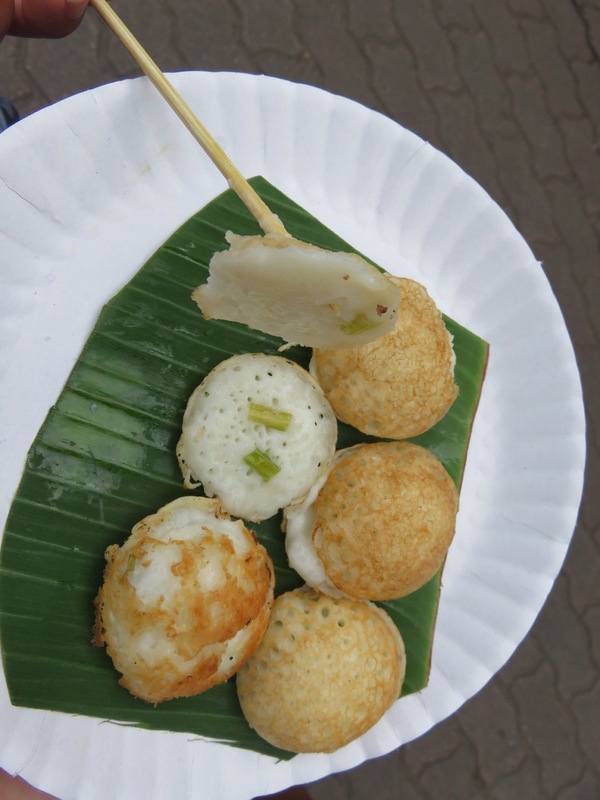 I loved the mini coconut pancakes with spring onion. Sounds weird but they tasted delicious! Our last day was spent wandering aimlessly around the streets. It’s so easy to get lost, but in a good way. We stumbled across plenty more temples, markets and a cute little cafe which sold the best Thai iced tea! (I can’t remember the name, sorry). 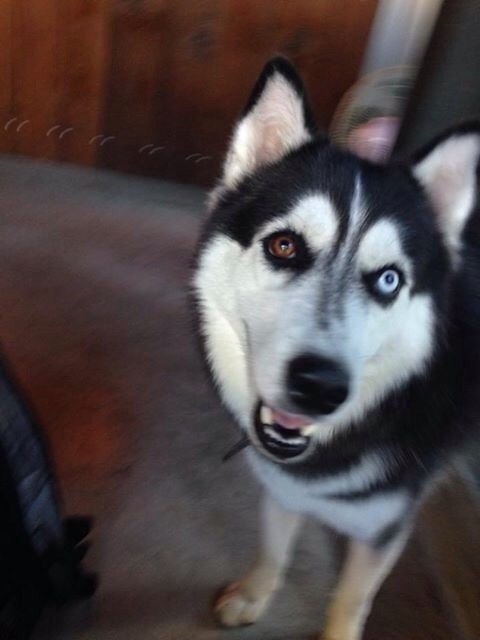 They even had a cute husky dog that wanted to play ball with us. 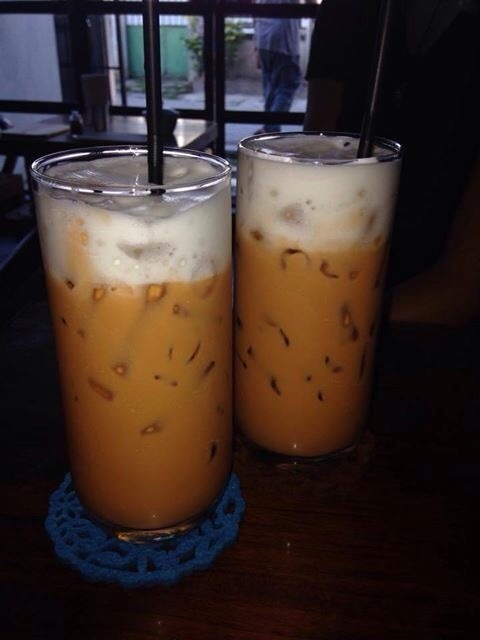 Thai iced tea is like no other tea I’ve tasted. For starters it’s a bright orange colour which I did not expect. As far as I know it is made up of a black tea spiced with things such as star anise, tamarind and cardamon and then sweetened with sugar and finally topped with condensed milk. Yum! We kept it simple and took it easy on our days here but there are plenty more activities in the surrounding areas to fill your days with should you feel a little more adventurous. 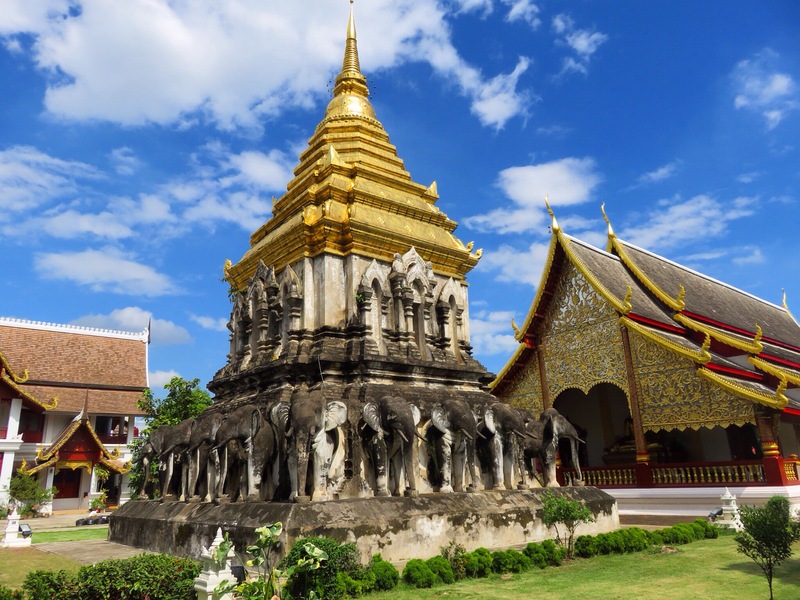 Chiang mai is truly a Thai gem, a place that should be added into everyone’s Thai itinerary! Four days was simply not enough, I would have loved to have stayed longer but it was time to get on a flight to Bangkok- the last stop on our Thailand adventure.